Born in Northern England, Heather received her Bachelor of Music degree from Sheffield University where she studied piano with Danielle Salamon. Her love of teaching led her to postgraduate studies in education at Durham University. She subsequently spent eight years as head of the music department in a junior high school North of London before moving to the United States, first to Boston and then to Northern California. 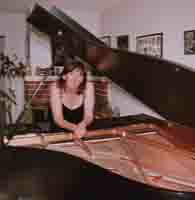 There she maintained two private studios in the San Francisco Bay area teaching piano, clarinet and theory from beginning to advanced level and was an active member of and evaluator for the Santa Cruz branch of the Music Teachers’ Association of California, the National Guild of Piano Teachers, a member of ASCAP, and a composing/performing member of ‘Piano Renaissance’. Until her return to England in 2017 Heather was the Classical Music reviewer for the Santa Cruz Sentinel and music critic for Peninsula Review, and the Performing Arts of the Monterey Bay. She taught piano lessons at Juvenile Hall and from 2013-2015 was a Director of the State Board of the Music Teachers Association of California where she was responsible for writing the New Materials Review for the California Music Teacher state magazine. Heather spent eight years teaching classroom music, along with English and social studies, to elementary and junior high school students in England. As the music director in this multicultural environment she was responsible for the development of the music curriculum for grades 4 –7, focusing on the music of the variety of cultures represented in the school – anything from steel band to hand-bell ensemble and tabla. She instigated a school band and chorus of 90 students and staged several musical concerts and performances each year showcasing the band, chorus and instrumentalists. She composed for and directed/conducted the annual school musical. 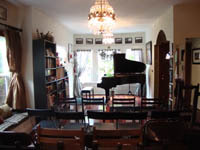 Upon settling in the San Francisco area she set up a private studio teaching piano, clarinet and theory to students ranging from preschoolers to retirees and continued her own musical development as a piano student of Keith Snell, a composition student of Martha Ashleigh and a jazz piano and improvisation student of Michael Smolens. 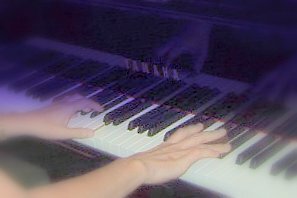 Continuing education classes in World Music, Pop Cultures and twentieth century Russian composers have further broadened her interests. She maintains her interest in classroom teaching and has taught recorder ensemble, music appreciation and band instruments and at several schools in the area. In the area of private teaching she feels herself to be very honored to spend one on one time with so many children each week. As a busy mother of three daughters she has an appreciation of family dynamics and knows how rarely children get to spend thirty let alone sixty minutes with an adult who is truly focused on them for every minute of that time. She adapts her teaching techniques to each student’s needs and learning patterns, employing a wide variety of teaching materials, books, percussion instruments, games and prize incentives. She acknowledges the fact that some students takes lessons because they want to, others have lessons because their parents want them to, still others want something a little extra on their college resume. Some students are highly competitive and want to win prizes in competitions and festivals, some like to perform in recitals with friends, family and student classmates as their audience, still others can’t imagine anything more daunting than to play for someone else. For each student she has a personalized program tailored to fit the student’s needs. Her over 30 works for woodwind (published by Tapmusic) range from beginners’ pieces for solo instrument with easy piano accompaniment to more advanced works for woodwind trios, quartets and quintets. 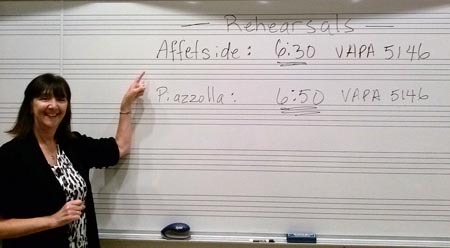 Her published flute quartet, composed at the request of her flute-playing daughter for the flute ensemble class at the University of California at Santa Cruz, had its premier performance in the fall of 2006. She performed her piece for flute and piano, Masquerade, with her daughter, Sarah, at the 7th San Francisco Festival of Contemporary Music. Several of her works for woodwind ensemble were performed by colleagues at the Santa Cruz library in Heather’s one woman show in February, 2011. Heather completed a commission to compose an anthem for a church choir in the San Francisco Bay area. recently put the finishing touches to a history/biography book entitled ‘Keyboard Composers in the Spotlight’, an in depth study of the life stories of famous composers of keyboard music filled with anecdotes about their lives, a study of their environment and culture and its impact on their music. 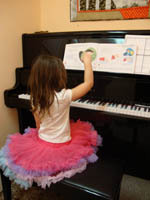 Over the last few years she has been teaching group lessons based on the book and finds that students are fascinated by music history when it is presented in a fun, engaging manner. As a member of the Osher Life Long Learning Institute at UCSC she performed as a member of several chamber music groups. 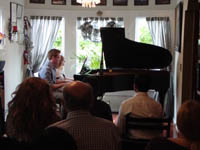 In 2011 she joined Monterey Composers Forum and has taken part in a performance of her own music at the Hidden Valley seminar in Carmel Valley. She also accompanied the string program at Cabrillo Community College and in the summer of 2012 began work as the classical music reviewer for the Santa Cruz Sentinel. Heather as . . . Her love of the outdoors often takes her on hikes, through cities, across deserts or along the coast. She’s a keen photographer – often using her photos as inspiration for a new composition – and writes and illustrates elaborate vacation journals. She has had several articles published by travel magazines and won the Dead Albatross award in ‘Business Traveler’ for her account of a visit to Romania. Since she finds it impossible to watch television without keeping her fingers occupied there’s always a new quilt or piece of knitting under way. In all of these pursuits she is encouraged by, and has the wonderful companionship of, her three daughters who constantly exclaim ‘Go mom!’ at her latest escapade.